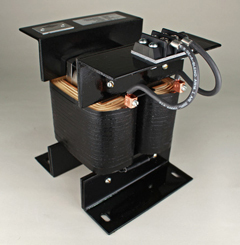 Osborne Transformer is a market leader in the design and production of high performance transformers. If your customer requires an extremely durable transformer, you’ve found the ideal design partner. Osborne’s designs offer unmatched performance and longevity. Durable transformers deliver peace of mind. You will immediately appreciate how it feels to have one less source of failure in your circuit. Stop taking chances with low cost commodity parts. 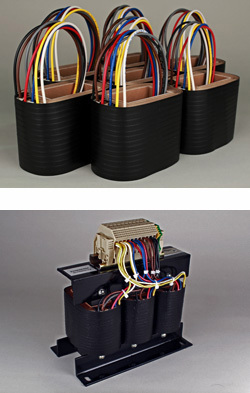 Be confident that Osborne’s unrivaled transformer designs will be a great fit for your project. Contact Osborne’s engineers today and let them quickly prepare a preliminary design proposal — FREE OF CHARGE. Experience the superior craftsmanship and durability of Osborne’s high performing designs. Osborne’s high performance transformers are used to step-up, step-down and isolate voltages. There are many significant differences between an Osborne Transformer and a commodity transformer. The differences begin in the design stage; instead of focusing on the many ways to reduce material expense and effectively shorten a transformer’s lifespan, Osborne’s engineers will optimize your design around key performance traits like exciting current, flux density, and thermal efficiency. Osborne then selects the finest raw materials available. Next, your design is assembled using time honored techniques in Osborne’s small batch, hand-crafted production system. During production, your part is subjected to multiple stages of the most rigorous electrical performance test standards, and held to tight tolerances. The resulting high performance transformers are unlike any commodity transformer you’ve ever worked with. Let’s talk about your project! Call Osborne at 800-229-9410, or email them at sales@OsborneTransformer.com. To learn more about Osborne Transformer, please visit the about us page. For more general transformer information, consider visiting Wikipedia.